"Tales from the farmers wife" shares the funny and interesting happenings on our lovely holiday farm with Farmer Nick and our 6 children. 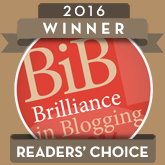 A behind the scenes look on balancing family, farming, the holiday business and cooking for all. With 6 children I feel I have more than my share of birthday parties to organise. It is wonderful to watch children having a lovely time and enjoying all you have organised for them, however, after many years of different parties and different ages I find one thing in common at the end of them all……I am shattered! Is this just me or does anyone else feel the same? We have a birthday a month through the summer, all the anticipation, build up and then ensuring everyone is safe and happy on the day really tires me out, I find a 10 mile run much less exhausting! There are however a few lessons I have learnt over the years which I can happily pass on to anyone facing the party worries. 1. Ensure the parents stay too . At this age the children need heavy supervision and you will find you need the help and support of all the Mums and Dad’s to ensure everyone is watched and playing safely. 2. Opt for a maximum of 2 hours, you will find this is long enough of having your Witt’s about you and offering teas and wine for adults as well as the children’s party food and entertainment. The other adults will help you but you will still feel you are responsible and they will look to you for what to do, which in itself is tiring. 2. Keep it simple, a simple garden party with trikes, picnic rugs and toys is plenty, or if it is winter just toys in the front room and a picnic table for the food. 3. If the thought of home is too scary book a village hall or soft play center, takes away some of the stress of home but does raise the price. If money is not a factor then you can take away more pressure with an entertainer, a good one really will keep a group happily entertained and take so much pressure away from you. 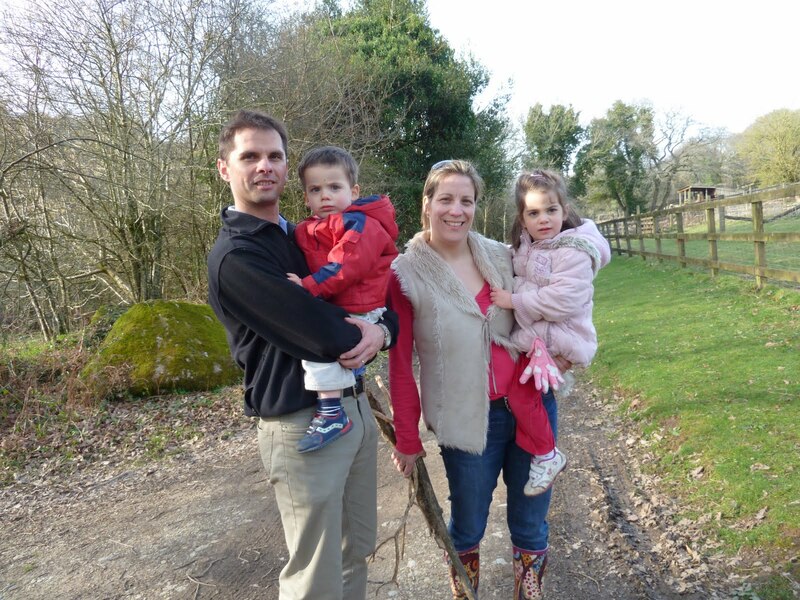 We have been lucky enough to have Coombe Mill for our party venue and fill in at least an hour with tractor rides to see the animals, wellies or sun hats depending on the weather! All aboard and Mums too! This can be a tricky age group, generally it is expected that the parents will drop and run and use the time a little like free child care! 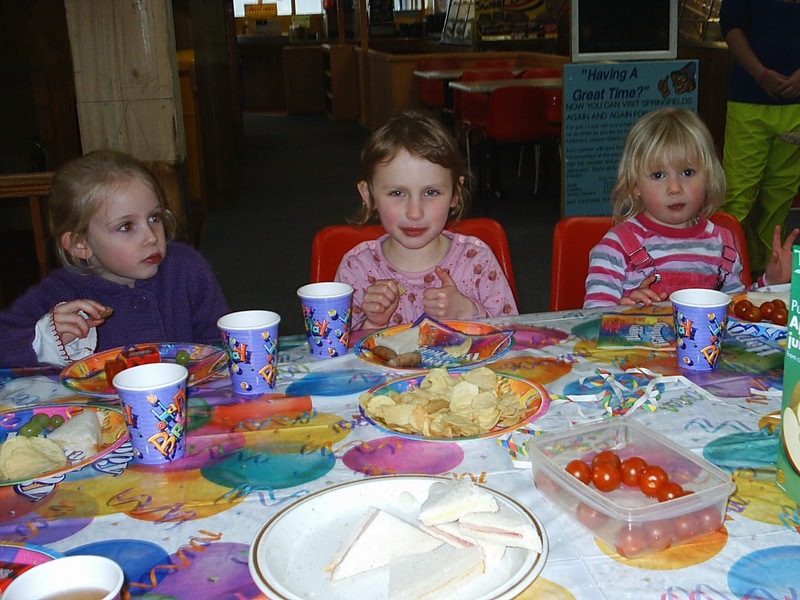 Children at this age need a bit more structure to a party and have expectations and ideas themselves. 2. Don’t be put off the party at home cheap option, the children will have a wonderful time so long as you do a little planning. 3. Organise some games to play, musical statues, parse the parcel, musical bumps, keeping the balloon in the air, hide and seek etc are all old classics which still work well, but my advise (from experience) is don’t make the children ‘out’. Have a winner but avoid losers, everyone can be winners. Tears and tantrums are to be avoided and the birthday person is usually the worst! 4. Again hire a hall if you feel the house is too small or stressful, go for a garden party last minute if the weather is dry, children don’t feel the cold like us adults and run around space is important. 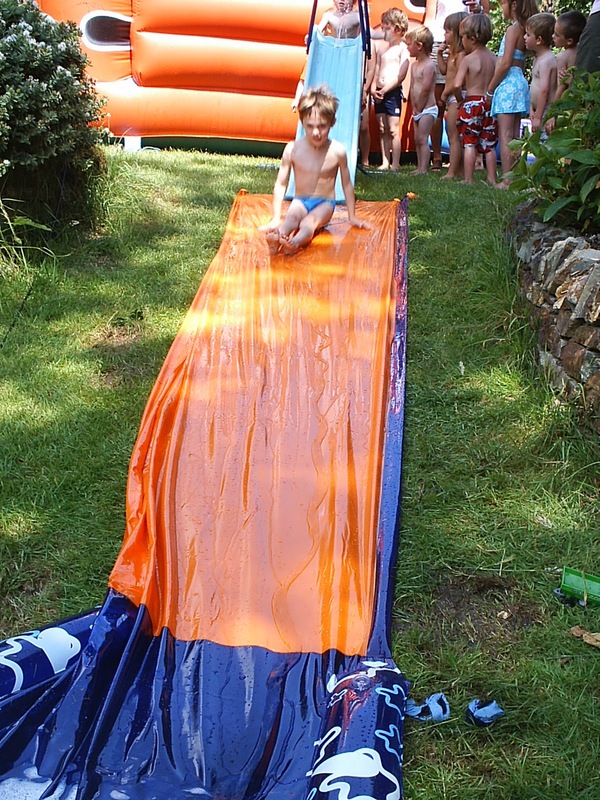 A bouncy castle can be fun or a water slide – simple piece of plastic on the end of a slide with water running down – simple, structured and 2 to 3 hours I found to be prefect at this age. Again our tractor rides have still been a huge success for this age group, only our own children find it less exciting as it is so home from home for them, but showing off their farm knowledge to friends usually compensates along with a game of ‘it’ in the indoor play barn! Children age 7 to 10 are becoming more independent and like a party that reflects this. 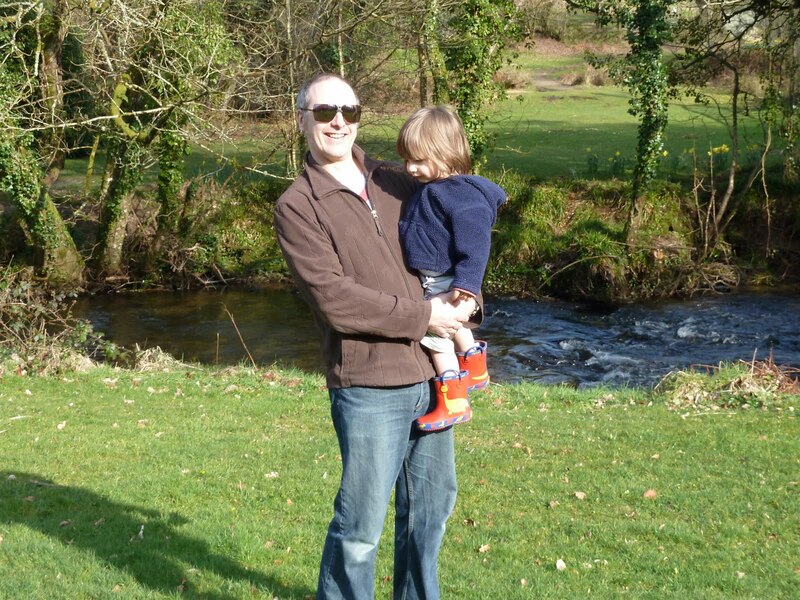 However I find a loose structure or activity keeps everyone focused, allows you to know what they are doing and where, which makes life less stressful. I have had “the mad hour” with this age range, charging round the house not realising they are as big and strong as they are, then discovering afterwards the broken bed slats etc. 1.Keep a rough structure and plan activities, but allow a bit of ‘go with the flow’ too. 2. Be careful with sleepovers. We have had some wild all in sleeping bags in the living room style parties. This is fine so long as you don’t mind loosing a nights sleep, if you mind then keep it to a max of two for the sleepover, more and I guarantee they will be awake all night. Arrange collection from a sleepover by 10am the following morning, they will be tired and grouchy and this is hard enough to manage with your own children without managing others too! 3. For a day time party try an organised activity like swimming, zoo visit etc, less stress but can be pricey. 4. After school is an easy one, just a few hours and all the fun of a party on the actual day. 5. Home activities which have worked well for me include, ceramic painting, anything from plates and mugs to fridge magnets, just buy the kits from craft shops or on line, and it is so much cheaper than the same thing at an organised venue. 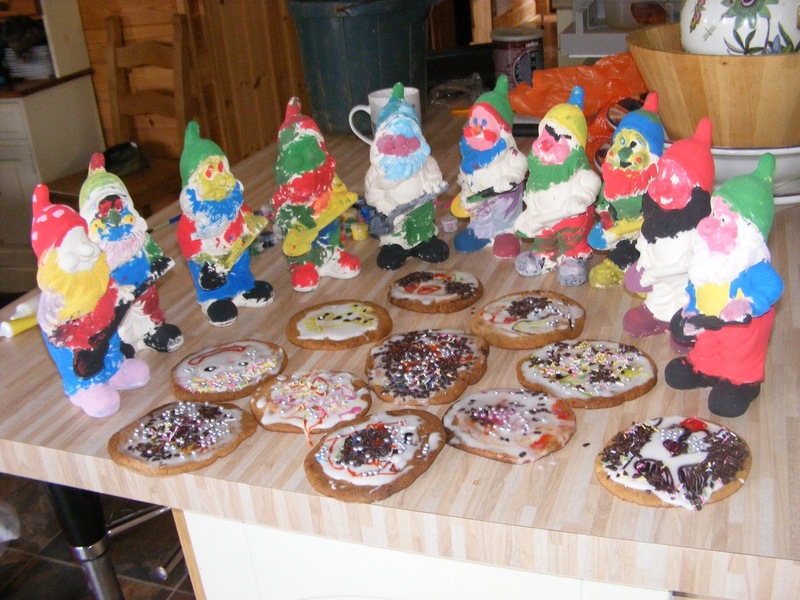 Baking simple large cookies (or buy them) and providing bowls of coloured icing and decorating toppings is another winner. 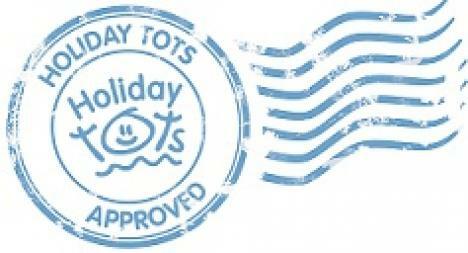 These can then double up inplace of party bags for the children to take home, a great 2in1! If the weather is good then water guns and a sort of home grown lazer game with water guns is great fun, make sure it is in the last half an hour of the party so they don’t hang around wet for too long, or pre-warn your guests to bring a water gun and change of clothes with them. 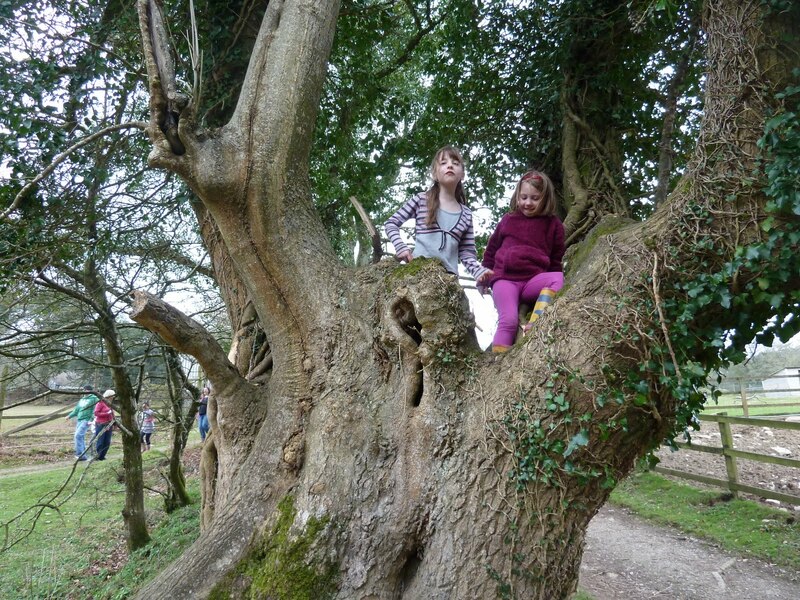 2.5.11 Just had our triplets 7th birthday party – I think this was the best yet with lots of the above activities and more all at Coombe Mill. Pictures and commentry just up on facebook, you can see the fun in the children’s faces! ema, lazer tag, sport centre activities such as tramplining, football or swimming and beach parties. 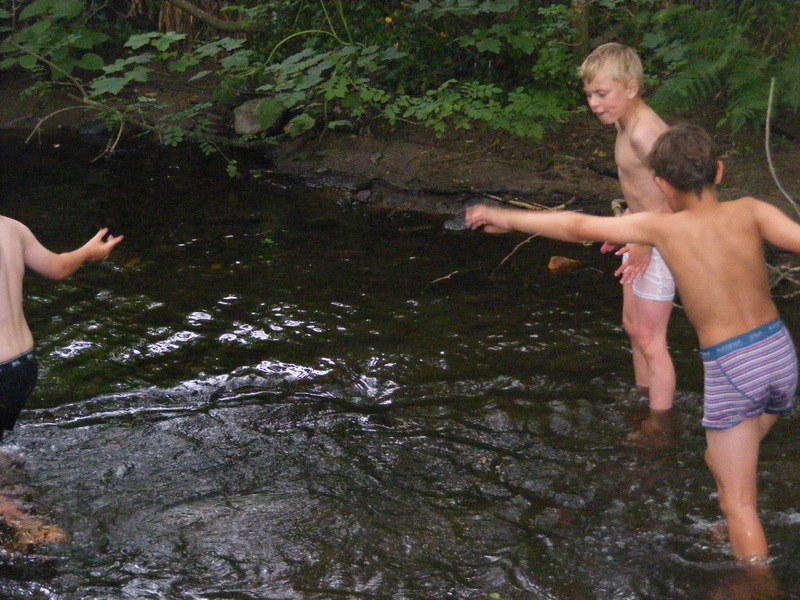 What ever they do at this age, my children have always ended back at Coombe Mill daring each other to swim in the river! Perhaps this is just a boy thing though, can’t imagine my daughter opting for this one. I am just about to enter my first teenage party and happy to receive feedback and suggestions on this one! Popular parties my eldest has been to are iceskatting, disco, roller disco. Not at all sure what we are going to opt for, but its only a month away! 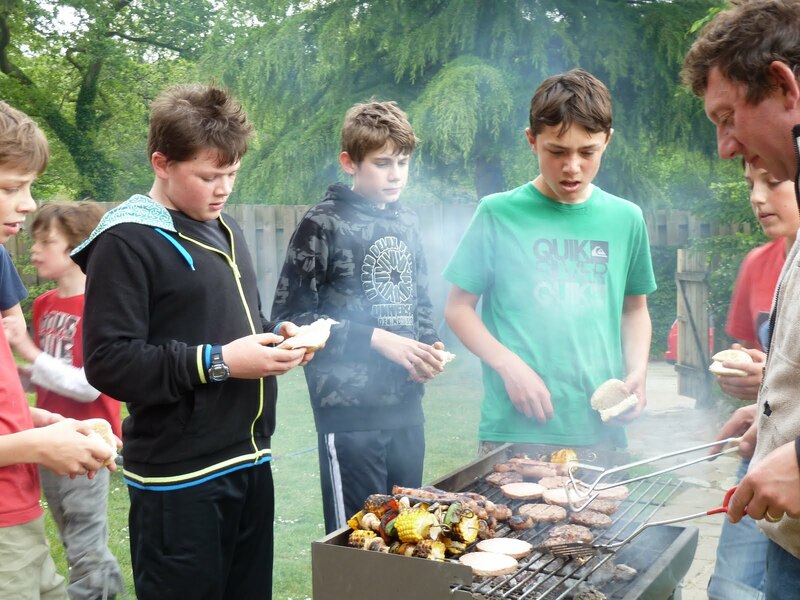 As it is May it might be a beach BBQ and beach games but still to be decided, suggestions please…..! Thanks for your suggestions Jo, Ally went for paint balling at Big Dunks http://www.bigdunkspaintball.co.uk/index.html . All 8 teenagers had a great few hours followed by a BBQ at Coombe Mill, awesome cream cake as requested by Ally and much play (or is it ‘hanging out at 13?) finishing with a water fight and soggy happy lads collected by not so impressed parents! I would love to have your thoughts and experiences of birthday parties. 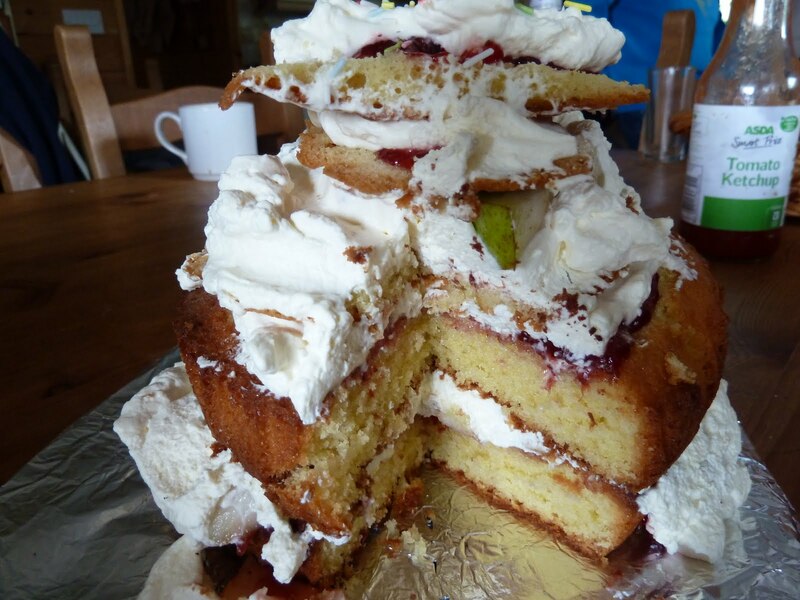 If you are on holiday with us for your child’s birthday then do remember I make bespoke birthday cakes(they don’t all ooze with cream – promise! ), so just let me know when you book, or when you are here with age, name and flavour and I will make and deliver for your special day. Make sure Farmer Ted and Nick know in the morning too so the birthday king/queen can take advantage of extra egg collection at the chickens and be our birthday tractor driver for the feed run! Dear Dairy 24th March. 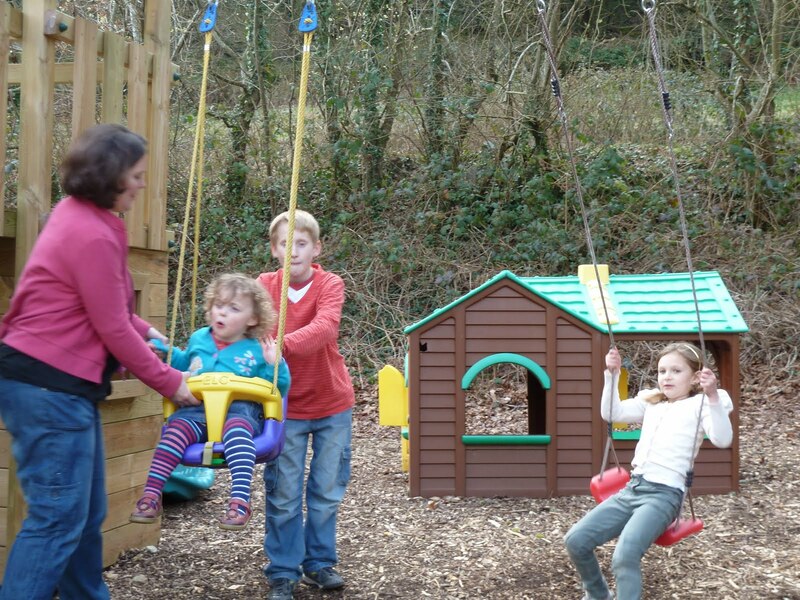 Children at Play…..
What a stunning week our guests are having at Coombe Mill, with temperatures up to 16 degrees in the middle of the day, March really doesn’t get much better than this! What really warms my heart is seeing families out on the farm together and enjoying the grounds and play areas, children find it so easy to make friends, shame we gain inhibitions with age! 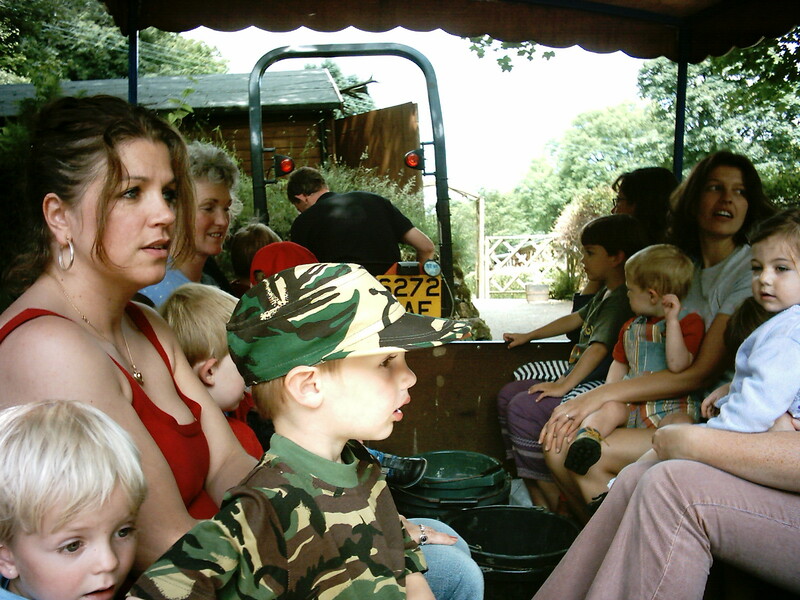 The daily tractor rides are such a great way for everyone to meet, children and parents alike, it is then such a simple step to say “hi” later in the day in the play areas. Before you know it the children are like best friends and the adults enjoying a good exchange of ideas and chat too while the children dash around them. Even my own children, who definitely take Coombe Mill for granted, our enjoying their time out on the farm playing this week. It’s great to see them mucking in with the guests and showing them all their secret places! 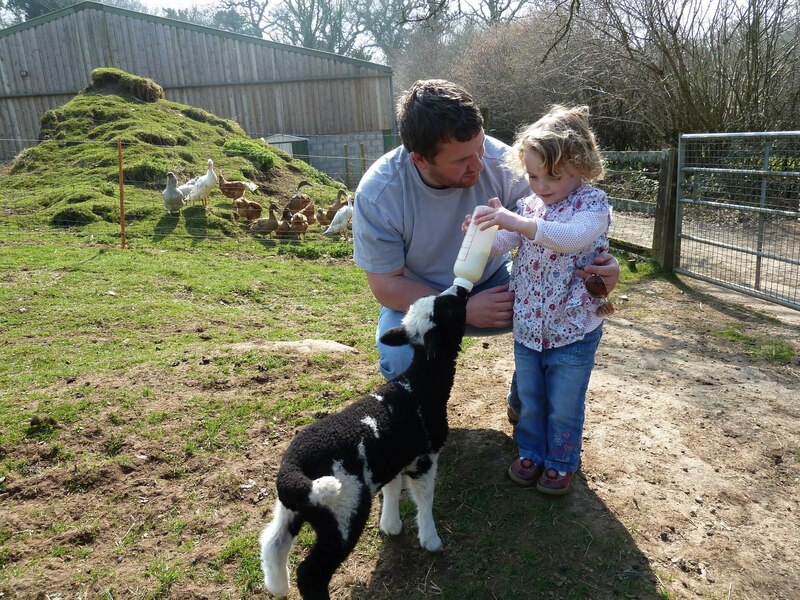 One of the great features of Coombe Mill is freedom to explore all of our 30 acres and visit the animals at any time of the day. Newly made friends can often be found exploring together and petting the animals. If they time it right they can catch me heading out to feed Domino her lunchtime bottle and help out, or spot a new lamb just born! We welcome guests all year round come rain or shine, just have a look on our web site at our availability or simply call us and we can help match your family needs to the best property for you. Worth keeping an eye on our special offers too, we have some cracking spring deals up at the moment if you can get away to enjoy this wonderful spring weather. If you have a child with a birthday while you are here do let us know. Birthday children are always first up to drive the tractor and I can make lovely bespoke cakes to order with candles all in (at £6 they beat the supermarkets and are much more heathy). 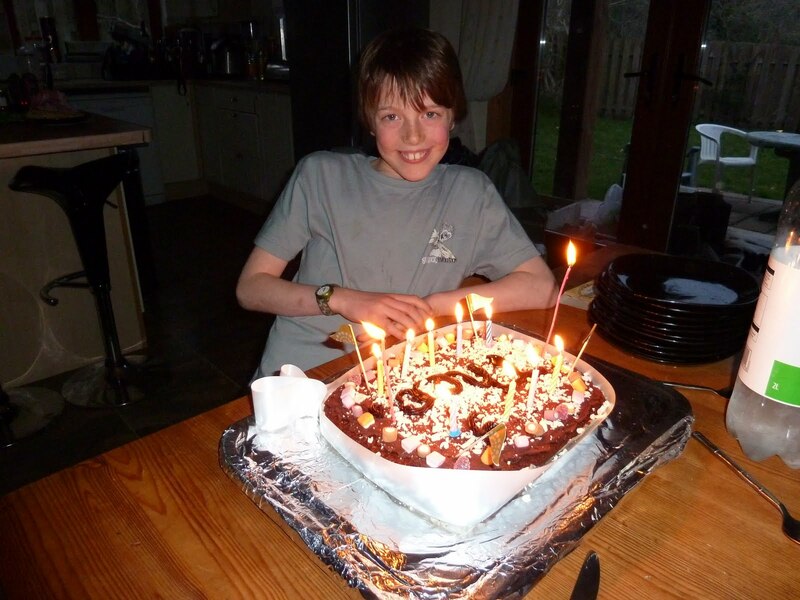 One of our children, Theo, turned 9 in the week, he is stretching out his birthday as they all do…. 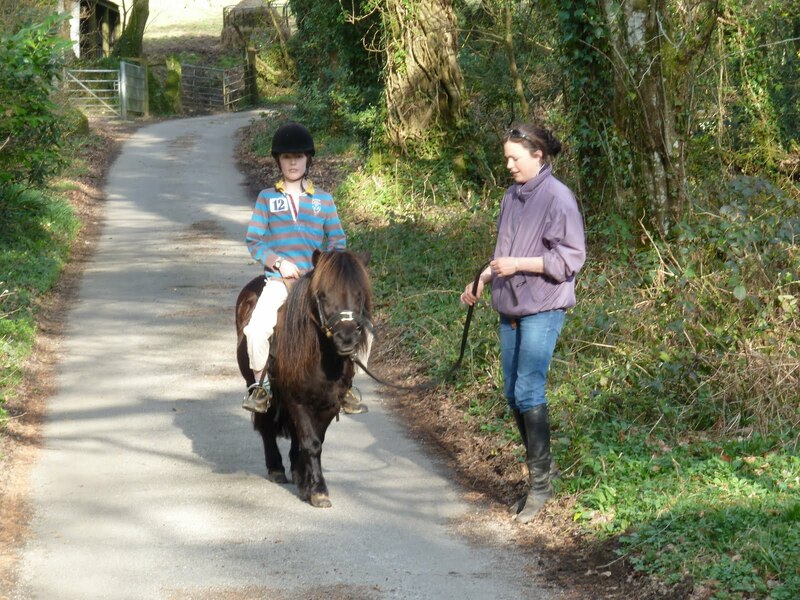 a cake on his birthday after his first riding lesson on our new shetland pony to be followed by a party here on Sunday. Welcome to another wonderful sunny day at Coombe Mill.We have had such an eventful few days since my last post I have hardly had time to sleep! Firstly our beautiful 3 alpacas arrived on Friday afternoon. They are just gorgeous and make the cutest of cooing noises to you. We are delighted at how friendly they are being led beautifully into the field on arriving and clearly intelligent as for their first feed run this morning they knew just where to congregate for breakfast! They are less shy than the deer and we were able to stroke Coffee this morning which was a real achievement as this was their first time seeing so many faces all fascinated with them. I am convinced that as the summer progresses they will become more and more familair with thier new home and realy enjoy thier morning visit from us all. They love a small piece of carrot too if you are visiting them during the day! 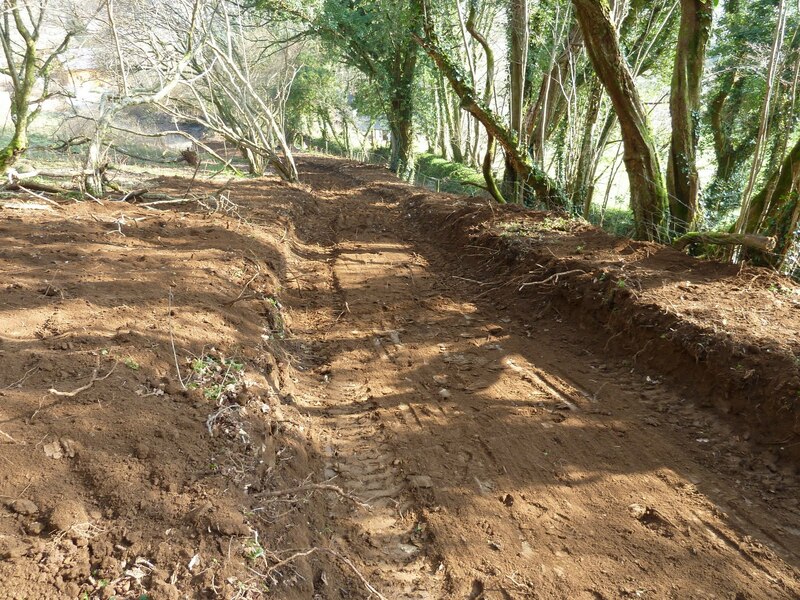 Our bookings are going from strength to strength this spring and we had our first busy changeover of the season yesterday. It felt so refreshing to have such a beautiful sunny day with some real warmth. 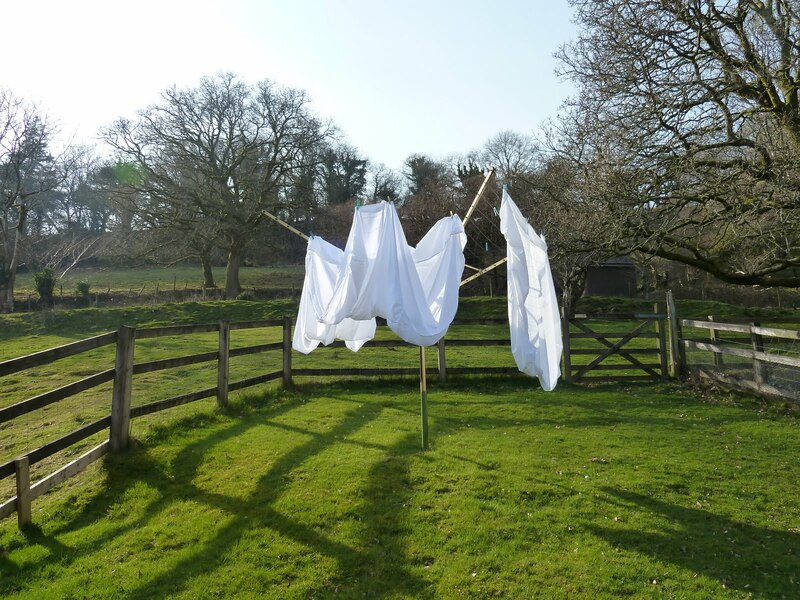 The sheets dried in no time out on the washing line…. 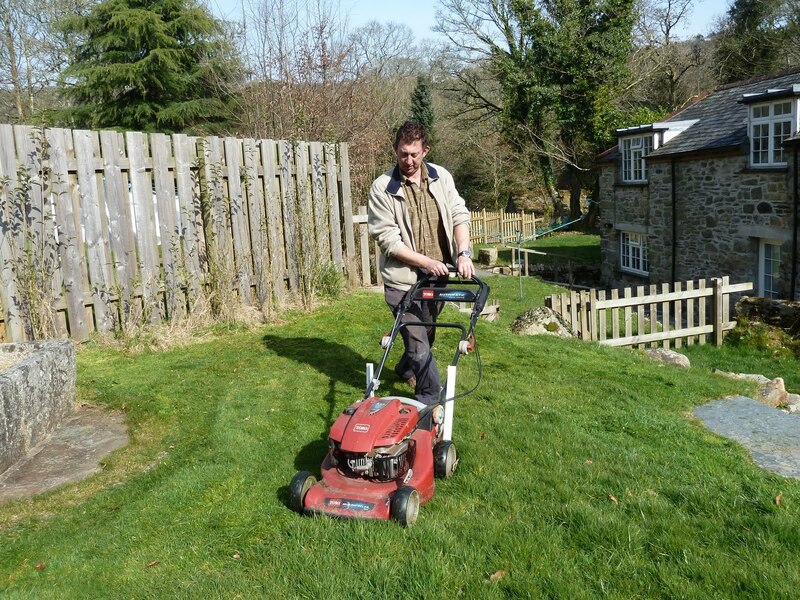 The spring warmth is making the grass shoot away, lovely for the animals to have some fresh grass again, not so good for poor old farmer Nick who is back out with the lawn mower again for the season! 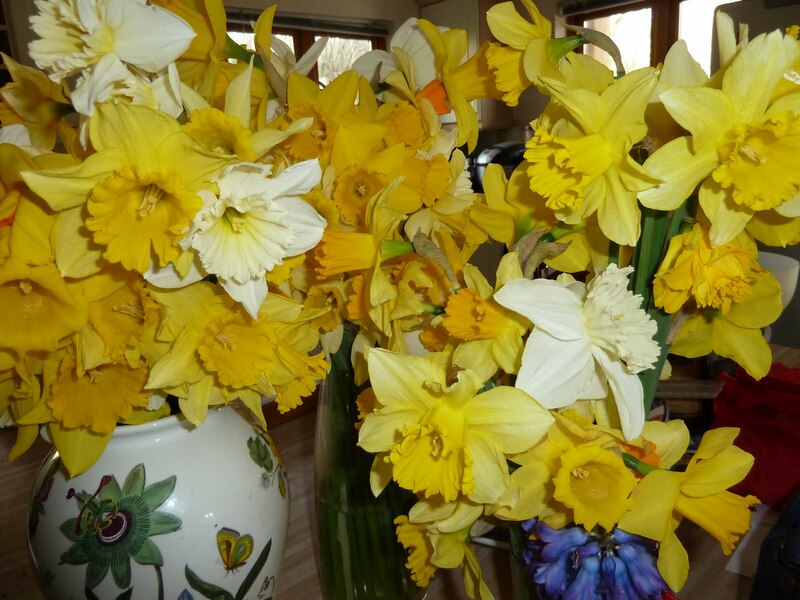 Fortuately we have loads of daffodils on the farm right now as my children are endlessly bringing me bunches, I was worried they were desimating the farm but there are still plenty for all to enjoy and I hate to discourage their loving gustures, though I am running out of vases! 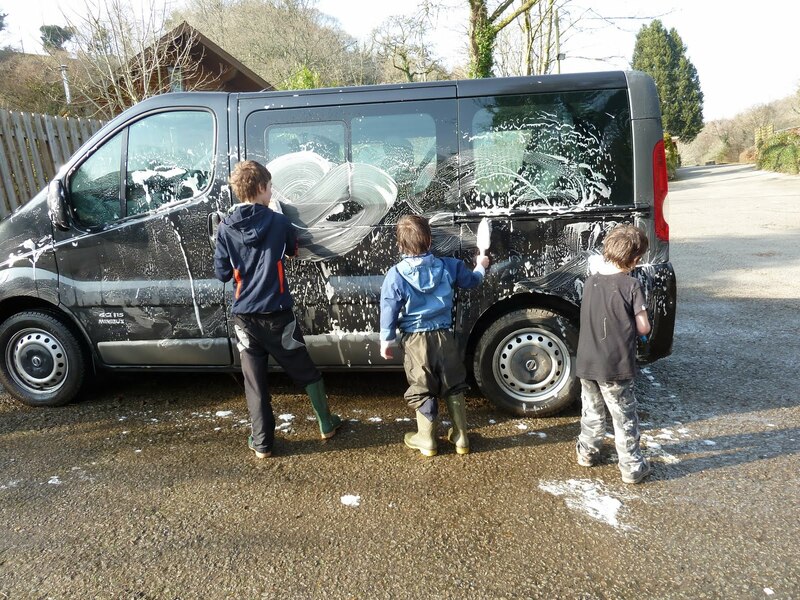 The children were even inspired to help Dad by washing the car yesterday afternoon, all good stuff except they managed to soak themselves in the process, rather deliberate I feel, and narrowly avoid placing our newly arriving guests in the firing line of the water hose! Afternoon feed bottle time for Domino the lamb now, I wonder if I will find any helpers on the farm with my chores? river and up to nearly the top of St Breward, I was looking for the church tower but couldn’t quite see that. With 3 Alpacas arriving on Friday, a new Shetland pony last month and lots of pregnant goats, sheep, chickens and ducks and Dotty the pig, I think Nick is hoping to rotate the fields a bit more with this new one. 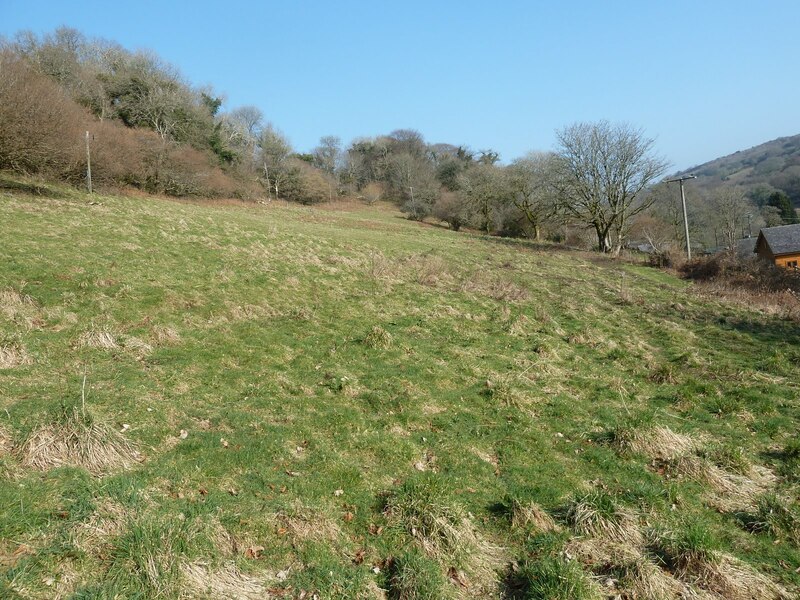 Goodness knows how much it is going to cost to fence it is so vast, and there is talk of using it as 3 fields, so for that I read more expense – “oh deer, keep the bookings coming in Fiona” I muttered quietly to myself! 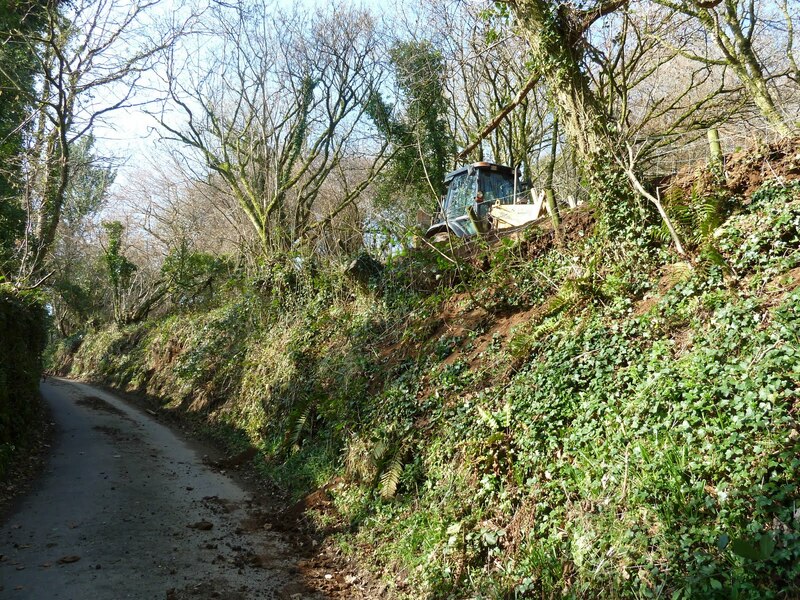 That and worrying at some points that digger, driver and bank were all going to come tumbling down onto the lane, they seemed to work so close to the edge. 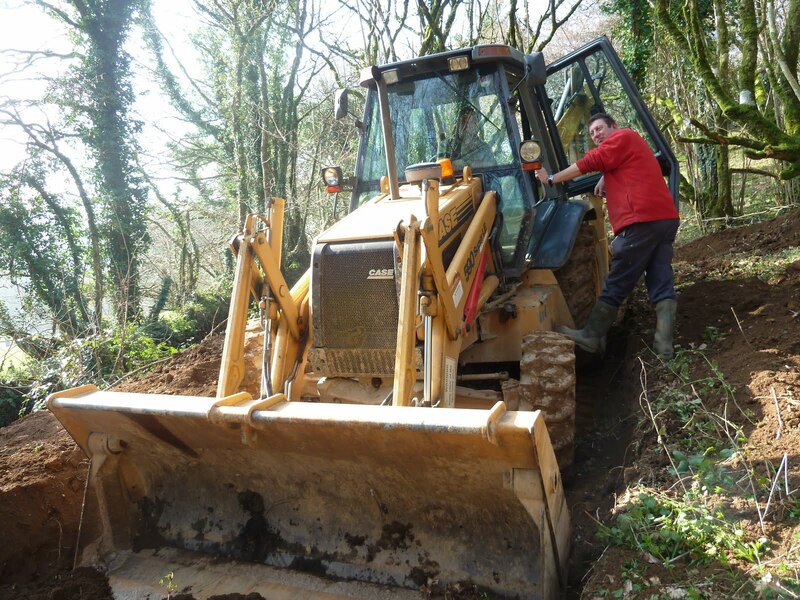 In the end I was pleased to report only a few minor landslides which I sent Nick to clear! Work went on till dusk but only 1/3rd of the field covered so its back to work we go in the morning! Farmer Ted spend the day with paintbrush in the kitchen in Water Mill again after the feed run and I had a frustrating day sorting marketing changes and washing beds….no quick job with 8 of us! I was very glad of the excuse to come out and check up on the boys with my camera! Why do I always end up writing this so late at night? I guess I can answer that quite easily….it is the only quiet minute of the day! We had another glorious spring day at up to 15% at one point, we are so very sheltered down here in the valley that we really do have our own micro climate. I always warn guests when they go a mile up the hill into the village they will need an extra layer! 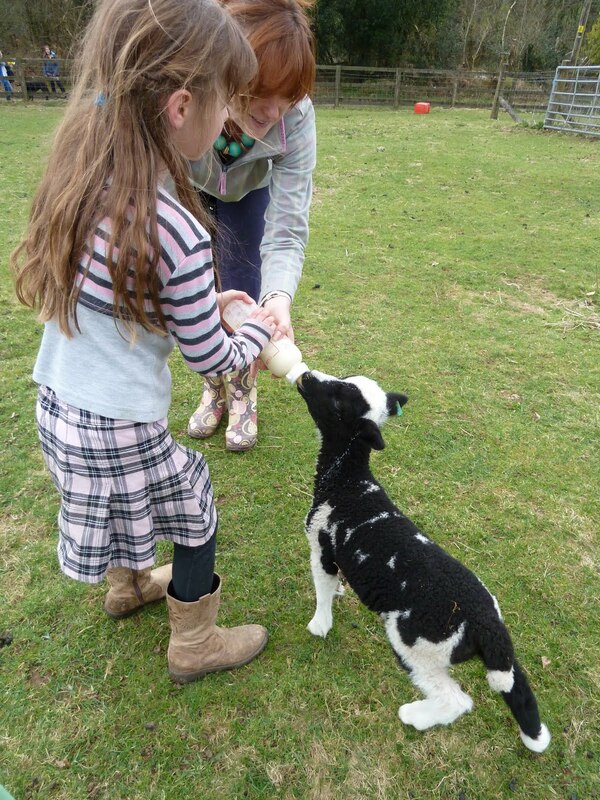 All this warm sunshine is really showing the farm off at its best with spring growth all around us – animals and plants! Farmer Nick has been busy in the orchard most of the day with stakes, rabbit deterrents and new planting. I think we have apples, pears, plums and cherries now, yet to see any fruit mind you, but you never know, this could be the first year! the daffodils are blooming and even the grass seed is beginning to take down on the recently re landscaped lodge path. Wondering back from the orchard and looking across the river I could see 3 naughty goats on the loose. We knew Hudini could escape, but it appears she has taught her friends a trick or two! they were all having such a lovely time foraging along the banks of the river I didn’t have the heart to try and put them back and left them to their business figuring they would return to the safety of their field and shelter at night. Poor Farmer Ted drew the short straw on such a beautiful day and was to be found donkey deep (well not literally) in paint inside Water Mill. we are turning the property upside down again repainting and updating furniture and lighting in the rest of the house in the with the lovely modern transformation made to the living room and downstairs bedroom. Now the whole house will be in the same modern style in time for Easter – if I can get the sewing machine to work for my new curtains!